Some of our trust and estate clients have adult children who are disabled. The child may have been born with a disability, such as cerebral palsy, making the parents accustomed to allowing for the disability while knowing that such disability will never go away. In the alternative, the disability may have occurred later in the child’s life, such as drug or alcohol addiction or mental illness. The parents of these children need to acknowledge the limited capabilities of their children while also providing for the possibility that the child could be self-sufficient if the underlying condition is abated. In either case, parents need to provide for the possibility that the child could outlive both parents or the parents could become ill and unable to care for the child. This post will address the legal issues to be considered for disabled children. As discussed in our prior post pertaining to providing for pets in one’s estate plan , parents should write a detailed letter to caretakers and trustees specifying care for the child, such as favorite foods and activities, details of relationships with relatives and friends and medical care history and details. Practical matters should be considered such as selecting housing, like a licensed group home or assisted living facility, for the disabled child. This should be done prior to the decline of the parents. It is crucial that potential access to government benefits be preserved for a disabled child. These government benefits may pay for health care and community services. In order to preserve access to government benefits, refraining from titling assets in the child’s name outright is crucial. As such, there should not be a bequest in the parent’s Will in the name of the child. Instead, the Will should leave assets to the child by means of a Special Needs Trust . The Special Needs trust needs to specifically state that it is not to be applied in such a fashion that access to government benefits would be denied. As such, the government benefits will be used to pay for the child’s basic needs and the Special Needs Trust will be used to pay for the extras that would assist the child. Our attorneys do not recommend that assets be left to a sibling, assuming that the sibling will use the money to care for the disabled child. The sibling may not take on the responsibility as intended or may use the assets for other purposes. The sibling could also predecease the disabled child and the assets would be distributed through her estate plan, rather than remain of use for the disabled child. For children disabled as a result of mental illness and addiction, the possibility of improvement needs to be considered. However, someone such as a trustee needs to monitor the child to confirm that access to money is appropriate. For instance, if the child is still abusing drugs, making substantial sums of money accessible to him could be used to buy even more drugs. However, not having enough money accessible could mean that the child does not have enough money for her basic needs. As in our post concerning attaching strings to a gift , parents of a mentally ill or addicted child need to attach strings to the disbursement of assets, such as mandatory drug testing and participation in treatment. A Special Needs Trust or another less specialized trust may be recommended for these situations. 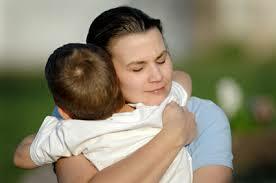 Making the provisions of the trust flexible in the event that the child has a period of recovery is also appropriate. We welcome your inquiries in this area.